St. Alban's had its first Youth Group meeting on Sunday, September 16. 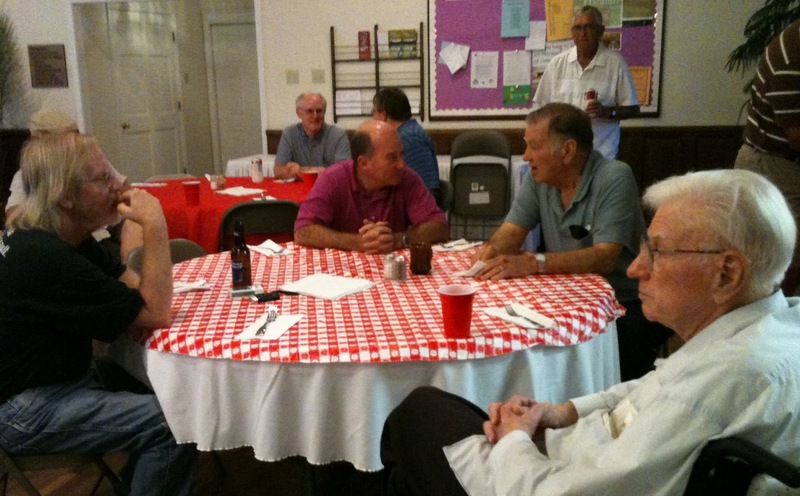 That night it was just St. Alban's folks and the group is pictured above (Not pictured is Mthr. 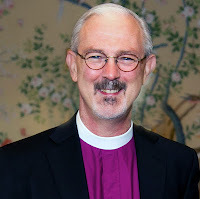 Dawnell Stodghill - hey, somebody had to take the picture!). 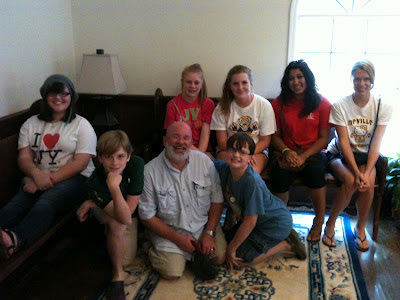 We ate popcorn - lots of popcorn, played Truth or Dare Jenga and a couple of rounds of "Would You Rather?" We laughed a lot! 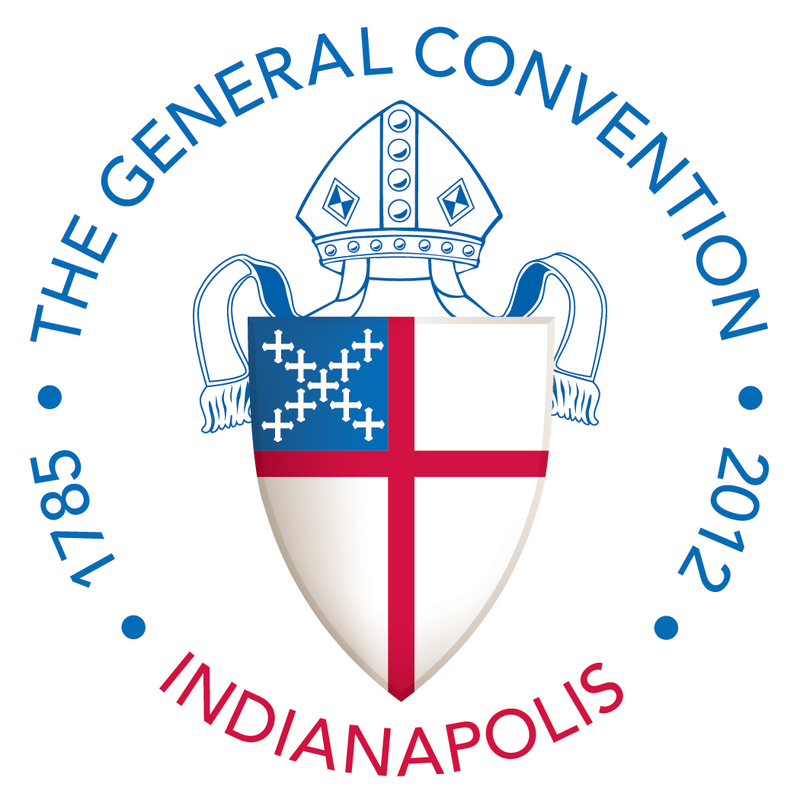 Youth Group is called EYC - which stands for Episcopal Youth Community - and this year we really plan to be a community. 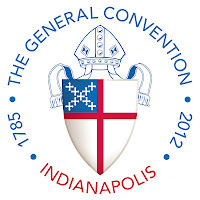 We are meeting with the youth from St. Thomas' and Grace Episcopal Churches. 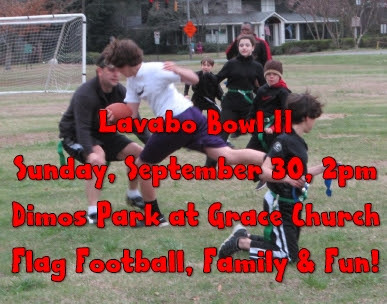 We plan to all be at the Lavabo Bowl II this coming weekend - see the post below or here. Join us Wednesday, September 19, 2012 for the first meeting of the Men's Wednesday Night Study Group. We will meet following the 5:30 p.m. Holy Eucharist and Unction from 6:15 - 7:15 p.m. in McLean Hall. Bring your Bible and a friend. 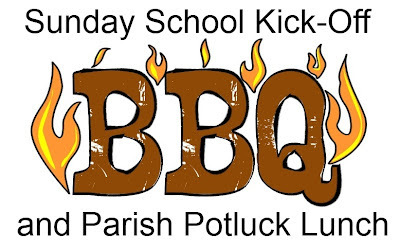 This Sunday, September 16, 2012 is St. Alban's Sunday School Kick-Off. We will have a B.B.Q. 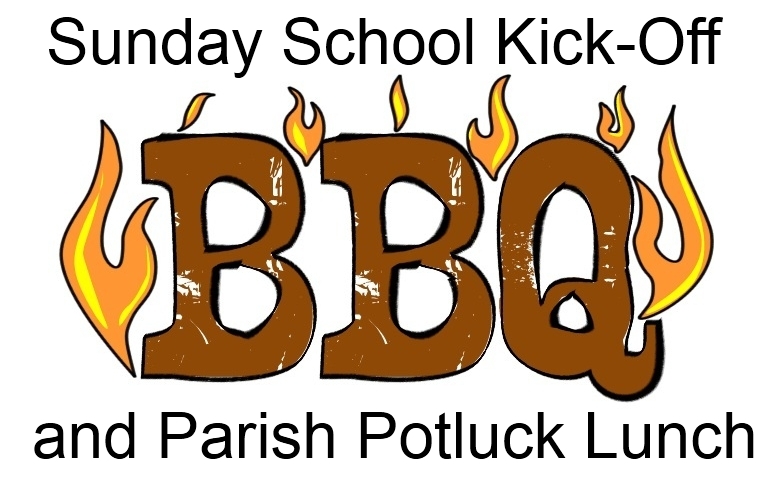 and Parish Potluck following the 10:30 a.m. Holy Eucharist. 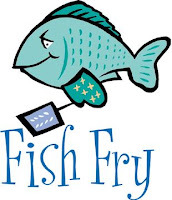 Adult Education and Children's Sunday school class meet at 9:15 a.m. and Youth Group meets at 4:00 p.m.
Join us for food, fun and learning! 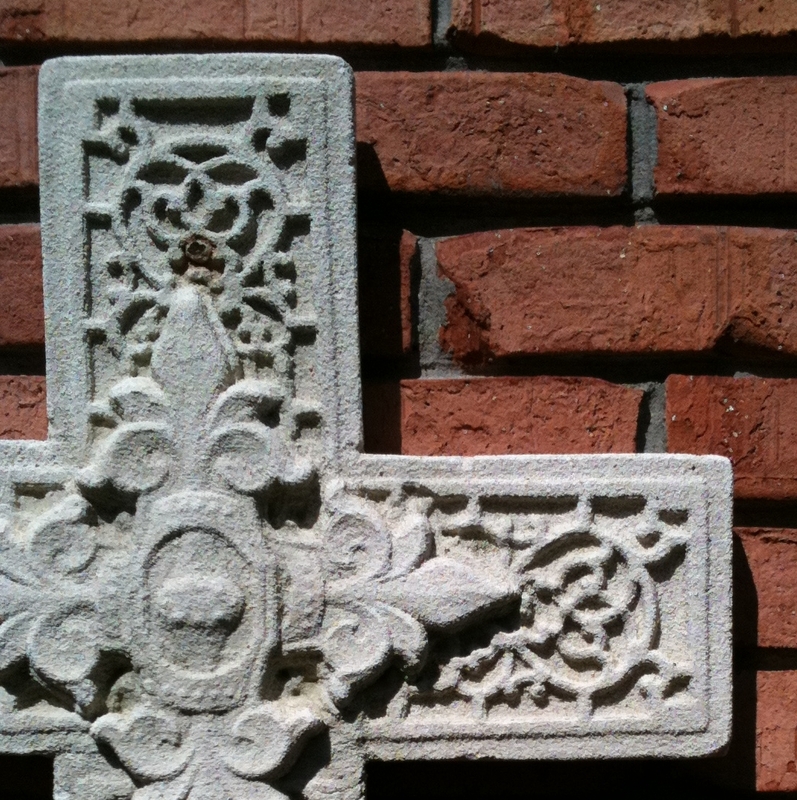 Today's letter is "L." Can you find me? 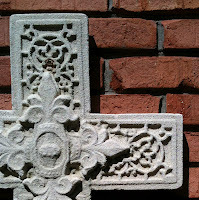 Hint: I am a piece of something that the Church remembers on September 14 and I hang in the Memorial Garden. 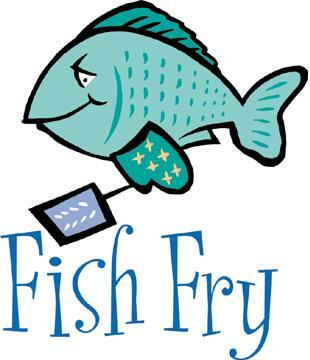 The Men's Fish Fry is tonight, Wednesday, September 12, 2012 at 6:30 p.m. in McLean Hall. involved in things at church!